Do you have a hard time getting your class or small group at church to listen to you? Are they constantly talking out of turn, wiggling or interrupting you? There's a reason why they are misbehaving. And it might just be the opposite of what you're thinking. The "why" behind their misbehavior has more to do with what is happening during the week. On Sunday, you're simply seeing the culmination of it. So, what is happening during the week? One notable factor is kids are being play-deprived. When I use the term "play," it does not mean playing video games, watching a YouTube video on a phone or a movie on Netflix. I mean playing pick-up baseball in someone's backyard, building a fort in the woods, playing Barbie dolls with other girls in the neighborhood, etc. Unsupervised play helps kids develop important people skills that they can use all their life. When they don't get that, they have a harder time behaving. Today's kids are spending more time looking at screens than they are looking into the eyes of other kids they are playing with. Many kids are also not being given the opportunity to contribute to their family by doing chores like helping cook dinner, cleaning the house and doing yard work. Lofty goals like playing professional sports or being a movie star doesn't render the same return as working in community. Kids also have very little control over areas of their life. Many kids have parents who micromanage every detail of their life. This can lead to stress and lack of self-motivation. The more power you give them to make choices, the more they will step up. Since many kids are not in empowering environments during the week, you have a great opportunity to provide that for kids at church. And out of that, you can give parents some great tools and tips about how they can do the same thing at home. So, here are some practical tips for your class or small group. Be a guide rather than a commander. Now you may be afraid of "giving up control of the classroom." Don't be. And be okay with a noisy classroom. It will be noisy and very active. Your role is to take the kids on a trip into God's Word and then guide them through passages that are conducive for spiritual growth. Be a facilitator rather than a lecturer. This is where choice comes in to play. As we stated earlier, kids have very little control in their life. They are constantly told what to do, when to do it and where to do it. Consider giving them several options for Bible activities, crafts, games, etc. and then let them choose what they want to do. After they are done, you can guide them through some review questions that will help them put what they learned into action. Some parents are micro managers of their kid's lives. Remind them that their job is to train up their children to leave. Success for a parent is bringing up a self-reliant child that can leave and build their own life and family. Respond to kids' misbehavior instead of reacting to it. Reacting is yelling. Reacting is immediate grounding for 2 weeks. Reacting is immediately removing privileges. Responding is calmly talking with the child about contributing to the class through their actions. Responding is calmly talking with the child about collaborating with the other kids in their group. Responding is calling up the child to be a good example. 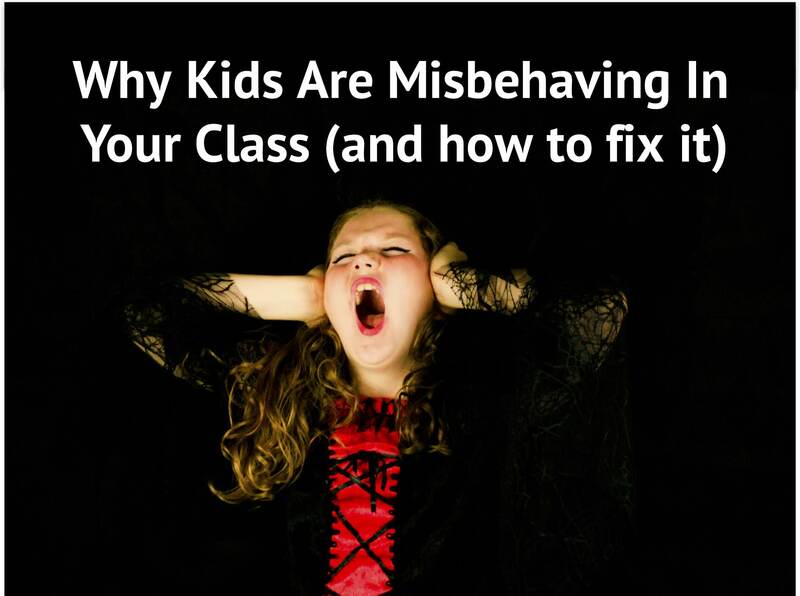 If we respond rather than react to kids' misbehavior, then we'll get the results we want.